A. Swelling is localized response to irritation involving the accumlation of fluids in the subcutaneous tissues around the eyes. B. Puffiness is the result of muscular slacking and the storage of fat cells around the eyes. C. Dark circles under the eyes usually accompany fatigue, stress, and illness. The dark blue brown color is caused by dilated blood vessels. D. Fine lines and wrinkles are signs of aging due to the fragile and vulnerable nature of the skin in the eye area. 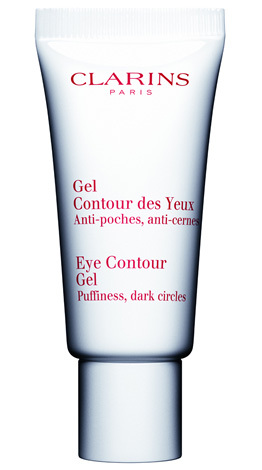 In order to preserve a healthy look try the skin care line developed by Clarins for the eye area.